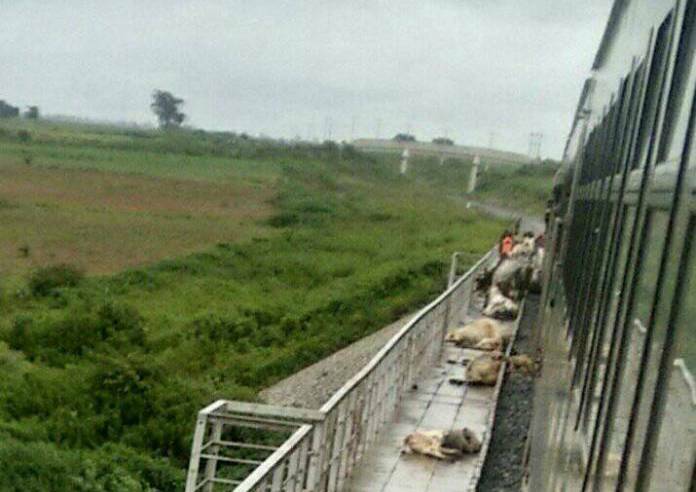 Fifty-two cows which grazed along rail tracks were crushed by a fast-moving Kaduna-Abuja bound train, Commissioner of Police in the State, Ahmad Abdurahaman, disclosed yesterday. The CP, who addressed newsmen at the Command’s headquarters in Kaduna said he received a distress call at about 11:45 hours and personally led principal staff of the Command to the spot at Kasarami village, in Jere District of Kargarko Local Government Area. “When we get to the spot, we found out that contrary to earlier calls of insurgents attack, what actually happened was an accident. The Fulani herdsmen who passed the night at Kasarami asked if they could cross over with their animals and were misinformed that there is no rail services on Sunday.